Pop sensations Little Mix return to the region yet again with the promise of another knock out performance of their smash-hits. 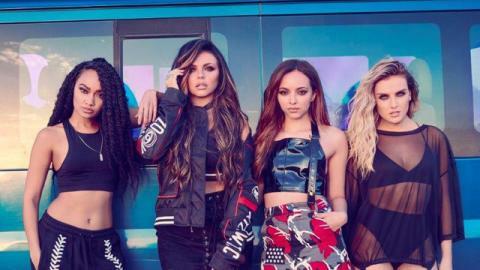 The Brit Award winning quartet, of course including South Shields girls Perrie Edwards and Jade Thirlwall, will play at Gateshead Stadium on Thursday 26 July. Getting there will be easy with Go North East as we’ll be running a dedicated bus service to Gateshead Stadium from Gateshead Interchange, Quarryfield Road Car Park and Heworth Interchange. The appropriately titled “X” buses will run every 10 minutes from 3pm until 7.20pm to get you there, with buses also running after the concert – click on the PDF at the bottom of the page to view the full timetable. Single fares will be just £1.60 for adults and £1 for people aged 18 or under, plus all Go North East day, weekly, monthly and annual tickets covering the purple zone will be valid too. Our 93 and 94 Loop services will also be running throughout the day too and we’ll be serving alternative stops close to the Stadium as Neilson Road will be closed. Travelling from further afield? Save with a Family Day Ticket! Only £10 and covers up to two adults and three children under 16. A minimum of one adult and one child. Concession passes, Network One Tickets or Nexus CAT tickets will not be valid on service “X” but will still be valid on the 93 and 94 Loop services.